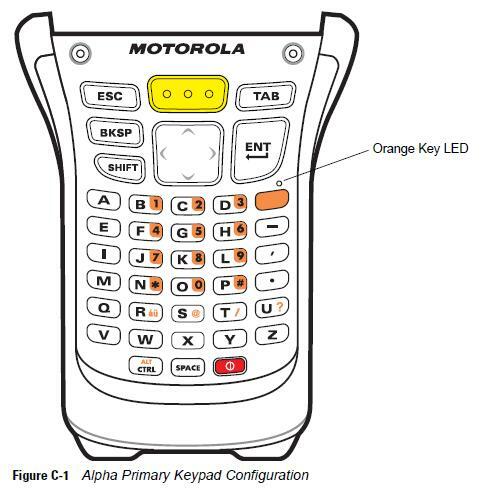 Which is the best keyboard for my Motorola mobile (PDA) application? In an ideal world the only thing you want your staff to key in is the quantity. However, in reality the barcode could be damaged or missing so they will have to key it in. Are your bin locations and part numbers numeric, alpha or a mix of alpha-numeric? What ERP system are you working with? SAP, Baan, Pronto, JD Edwards or something else? 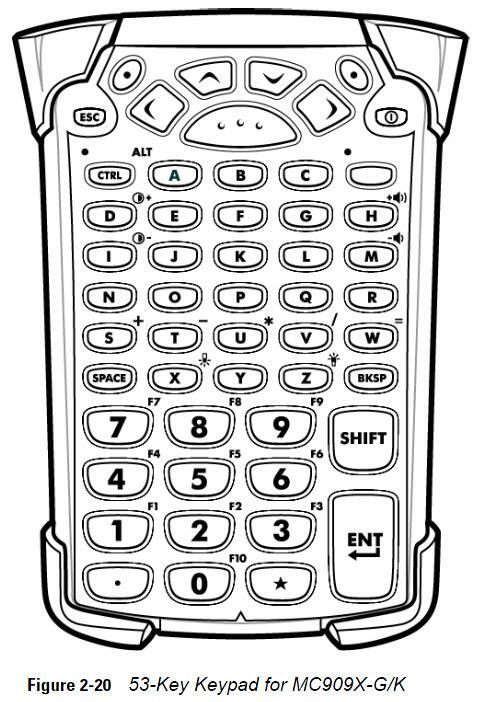 The Motorola MC3000 series mobile computer has three keyboard options. You have to buy the device with the keyboard you want since they are not changeable. 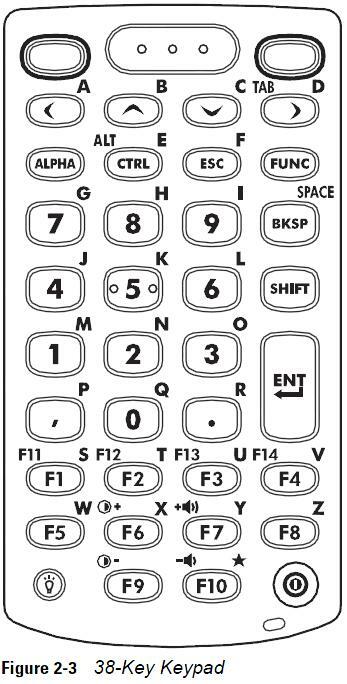 The 28 key keypad gives your operators easy access to the large number buttons. 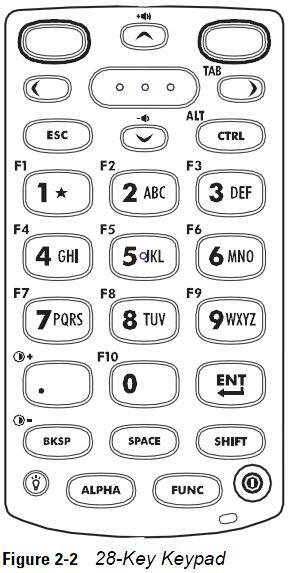 To enter any A to Z characters you have to switch to 'alpha' mode by pressing the 'ALPHA' button and then like on a mobile phone, to get a 'C' press the '2' button three times. The 38 key keyboard is the most popular choice for Pronto, Paxar VendorConnect and SAP since the function keys are only one keystroke away. The 48 key model offers you separate numbers and alpha keys so there is no need to shift the keyboard state to get the character you need. 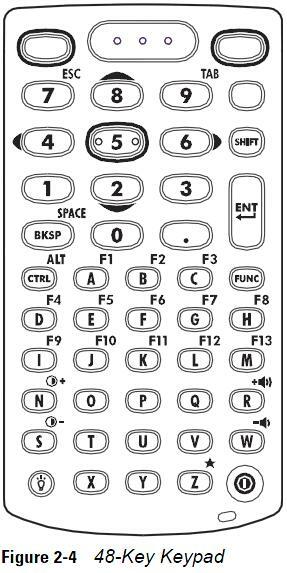 However, to get a function key you have to press the 'FUNC' key and then the 'A' for an 'F1' key. 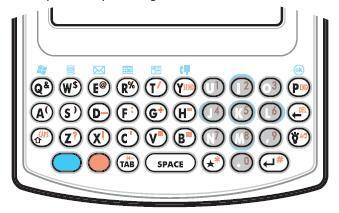 If you do a lot of alpha-numeric data entry then this keyboard is the easiest to use. 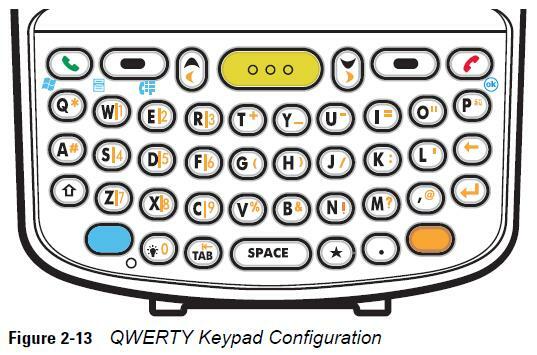 The brick and gun version are available with all three keyboards. As with the MC3000 series, the 28 key model has large numbers and is ideal for entering in the quantity. For SAP, Pronto and Paxar VendorConnect customers, the 43 key model is ideal since the keyboard offers one keystroke access to the function keys. The numbers are large and down the bottom next to a large enter key. Finally, for data intensive applications where you want one keyboard state and the ability to enter in numbers and letters quickly the 53 key model is ideal. 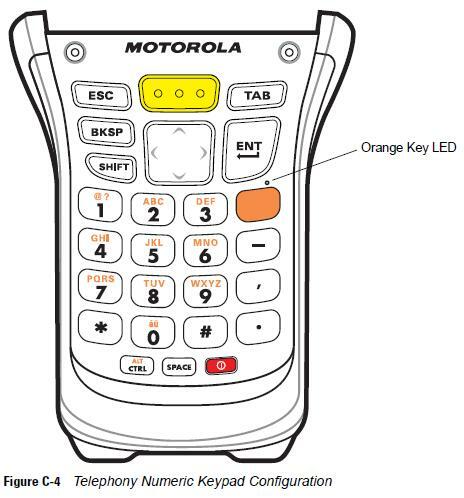 The Motorola MC3100 series shares the same keyboards as the Motorola MC3000 series. 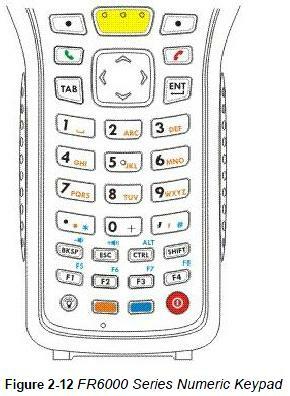 The Motorola MC9500K (brick) version is now available and what makes this device stand out is the rich feature set. 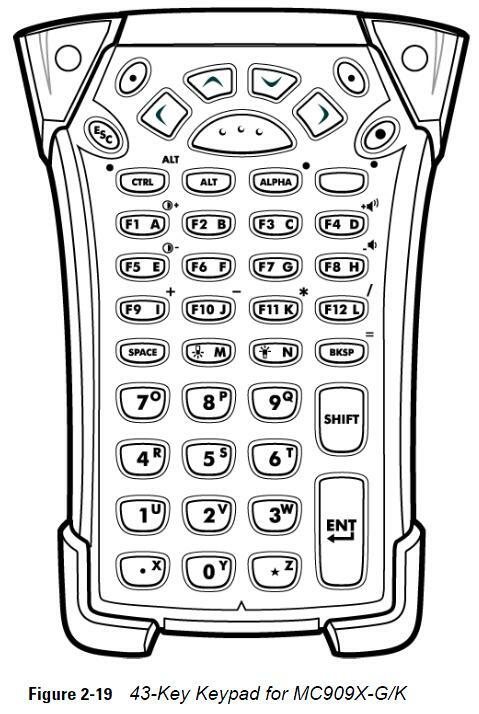 There are four user interchangeable keypads available. for all the details on this amazing new MC9500K from Motorola. Barcode Datalink offers a range of mobile computers that are ideal for data collection both in the office and out on the road or in the field. Of course you can use these devices in a warehouse but typically the mobile computers in the warehouse section above are more suitable for daily use. Managers would typically use the devices mentioned below in a warehouse while they are there for random tasks. 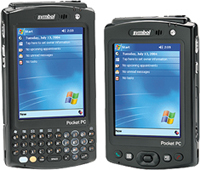 The mobile computers below are capable of being used as walkie talkies, mobile phones, have camera and video options and many other features. It is these features that are not required in a warehouse as to why they are not promoted for daily warehouse use. 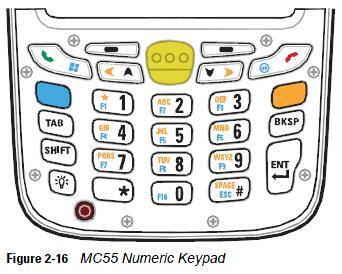 The MC50 has two keypad layouts. 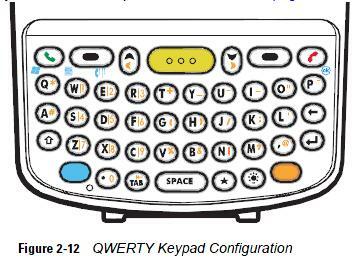 A PIM and a Qwerty keyboard. 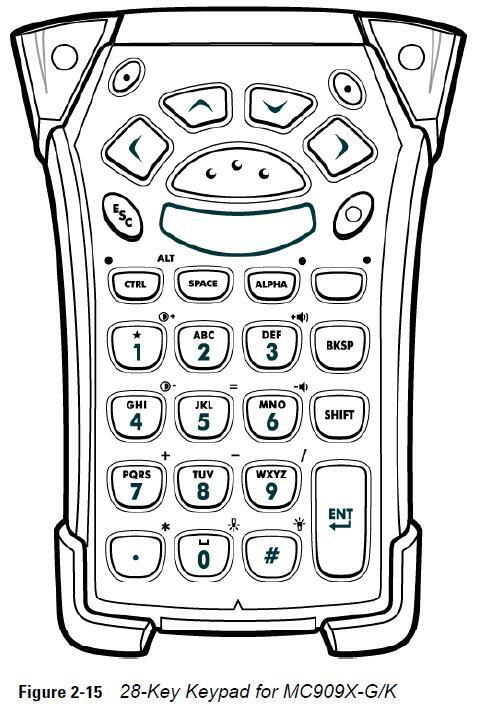 If you intend to use the MC-50 mainly as a Voice-Over IP phone then the navigator keypad on the left will suit you. 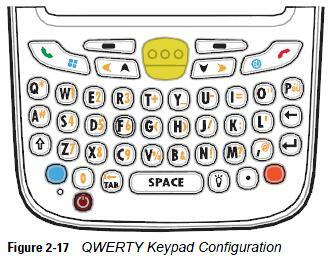 However, if you intend to take orders out on the road or want to do a lot of data collection then the qwerty keypad maybe a better choice. 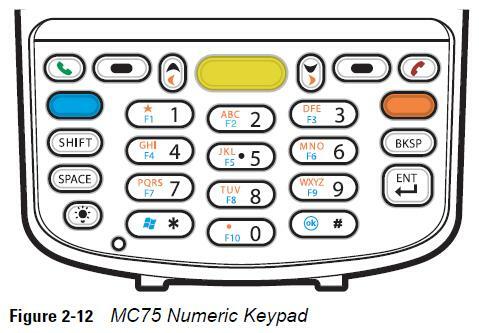 The new Motorola MC55 offers a numeric and a qwerty keypad. 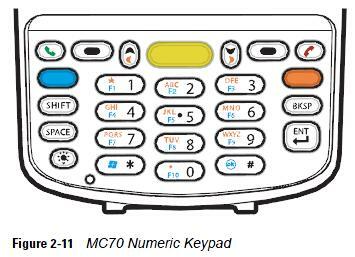 The Motorola MC70 offers a numeric and a qwerty keypad. 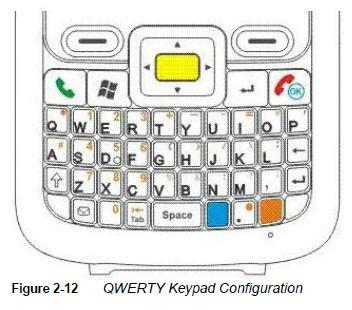 The Motorola MC75 offers a numeric and a qwerty keypad. 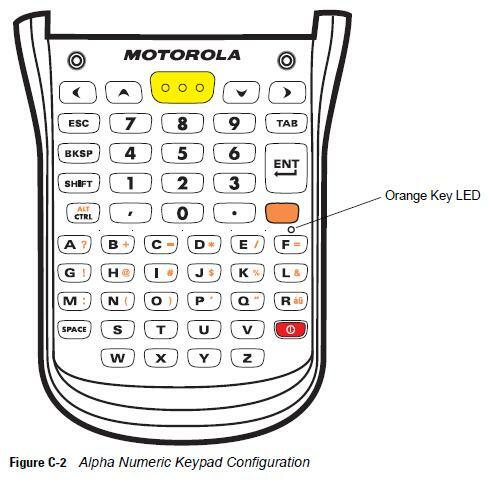 The Motorola FR68 only offers one style of keyboard: alpha-numeric. 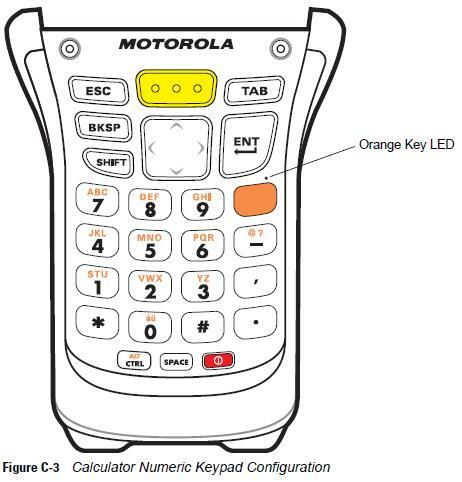 The Motorola FR6000 only offers a numeric keyboard.